The huge site covers at least five square kilometres. 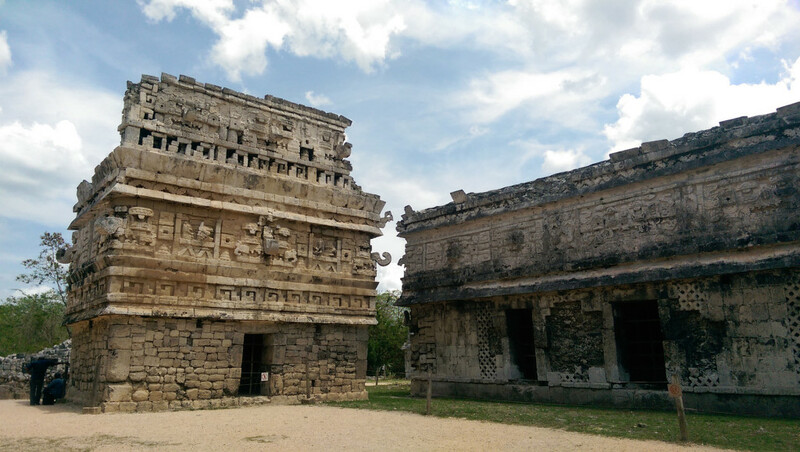 There are loads of different temples to see (all built in various different architectural styles) so you need a good few hours to take it all in, especially with the pretty stifling heat. 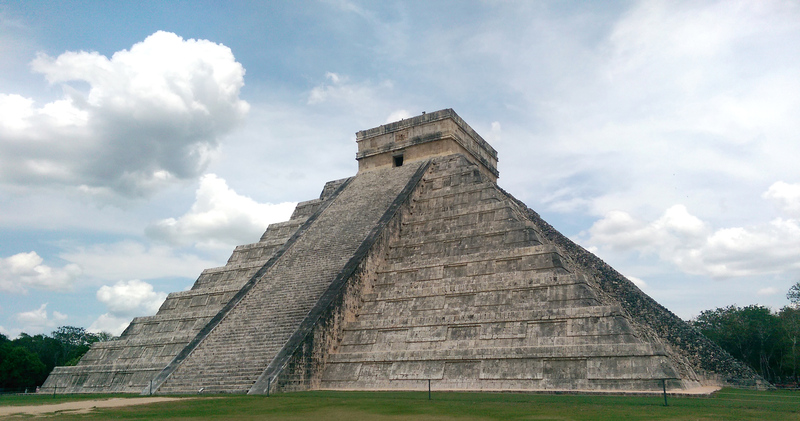 The star of the show for me, perhaps a bit unoriginal but hey ho, was El Castillo (the majestic Kulkulkan Pyramid). 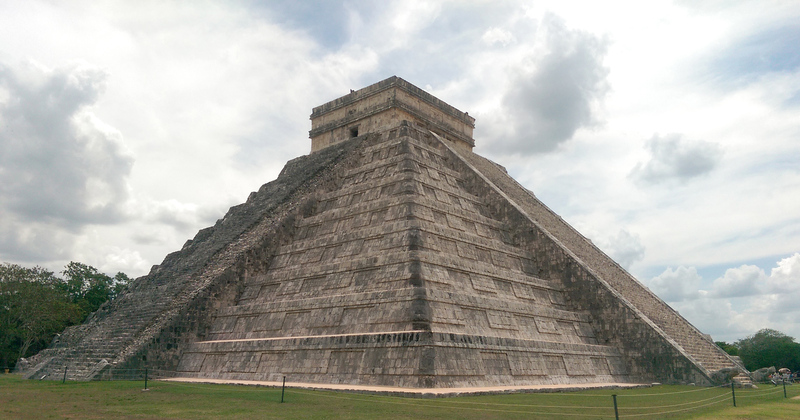 I definitely prefer this type of pyramid to the style of the one I’d seen the day before at Uxmal (more on the blog here). 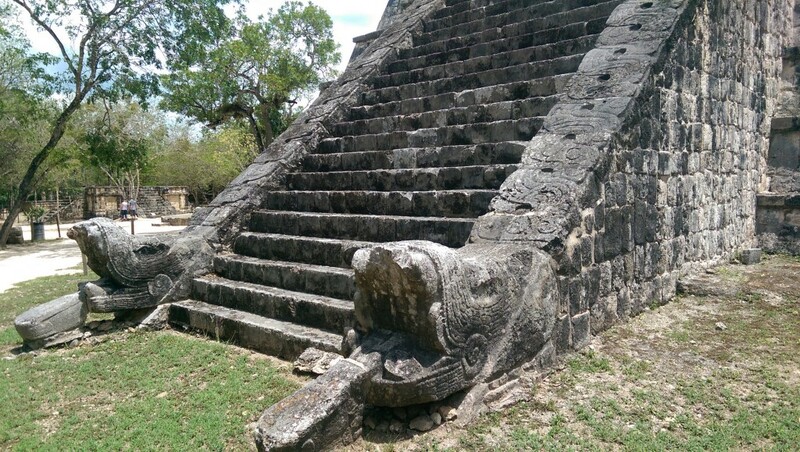 And the feathered serpent heads (the Kulkulkan) were spectacular. 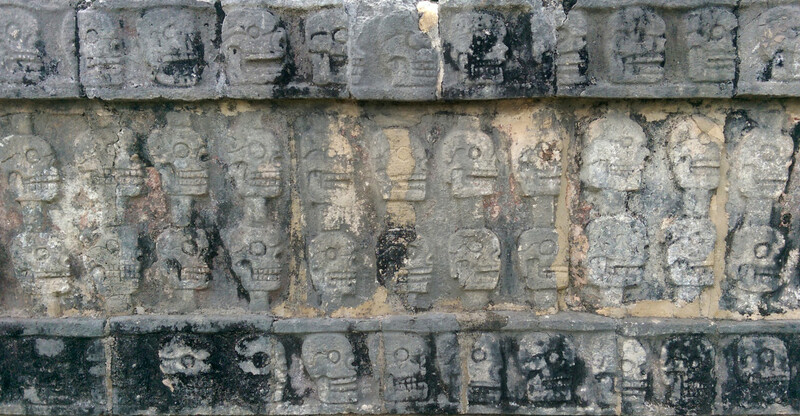 Throughout the site there were some really well-preserved carvings, in particular the Tzompantli (skull platform); surely the inspiration for those Alexander McQueen scarfs. As you can see, the buildings are beautiful and there is a lot to take in. While its great to see history in context, the site was just so busy (as its accessible from Merida, Cancun and Playa del Carmen) and there were so many stalls selling the same tat that for me it just wasn’t as pleasant an experience as Uxmal. 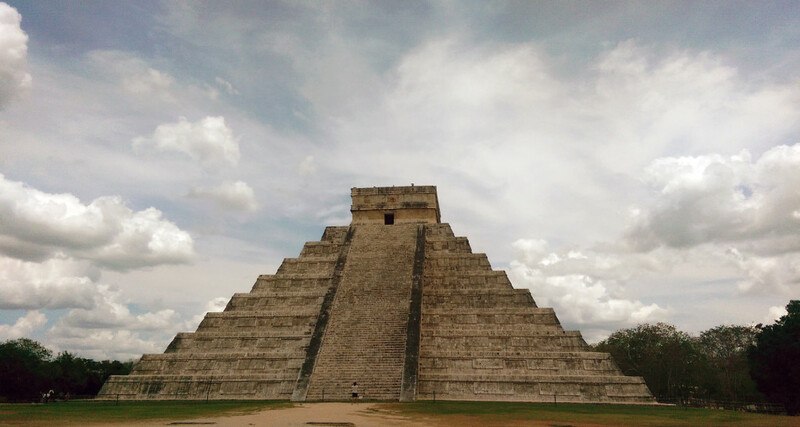 This entry was posted in explore and tagged archaeological ruins, Chichen Itza, Maya, Mayan ruins, Mexico, Seven Wonders of the World, sightseeing, unesco, Yucatan. Bookmark the permalink.